Audio Clip: a sound recording (including underlying musical works) available for license from NeoSounds. Project or End Product: a media, audio/visual project to which Audio Clip is synchronized, including all its versions, multiple episodes, trailers, variations, updates or re-releases that come under the same Project / title. Territory: worldwide, except where expressly limited to a single territory. NeoSounds grants Licensee the limited, non-exclusive, non-transferable right and license (hereafter "License"), through Territory, in perpetuity, to use Audio Clips in an unlimited number of Licensee's Projects (except where expressly limited to a single Project), in accordance with the terms and conditions of this Agreement. Any other commercial or non-commercial use, the purpose of which is to synchronize Audio Clips to a visual image (hereafter, "Sync Use") or to use Audio Clips as background audio to multimedia content. National commercial theatrical releases (in multiple cities, including the capital city, limited to one country and a single project). Use or redistribute Audio Clips as a part of telephone or mobile phone ringtones. Broadcast and public performance use requires filling in and submitting a cue sheet (reporting the use of music) to a local Performing Rights Organization (hereafter, "PRO") or providing a broadcaster with the proper cue sheet. Cue sheet submissions are required for Audio Clips registered by a composer/publisher with a PRO. If a composer/publisher of Audio Clips is not a member of any PRO, then reporting the use of Audio Clips is not required. Please read more about music cue sheets & performing rights organizations. Licensee may edit, modify, alter Audio Clips (crop, lengthen, shorten, fade, pitch, filter, loop, etc.) to fit the requirements of their Project. If such modification or alteration constitutes a derivative work (a work based upon Audio Clips), Licensee does not acquire any copyright ownership or equivalent rights in or to any of Audio Clips and Licensee shall use such derivative work only in accordance with this License. Audio Clips are copyrighted and are protected under the various laws of international treaties, the United States, and other applicable laws and remain the sole and exclusive property of their respective copyright owners. NeoSounds is unable to accept cancellation of any orders for digital downloads, nor to offer any refund for such orders, once Licensee has commenced downloading. Each of Audio Clips has a sample, extract, or preview that is available for Licensee's evaluation before purchasing and that clearly demonstrates the content of each item, thereby giving Licensee a clear understanding of what is being purchased. However, in case of technical issues or errors on the website, associated with payments or charges, or in case where Audio Clips are corrupted, a refund can be issued by request. In the case of a sale being reversed or cancelled or of money being refunded to Licensee for any reason, all rights granted under this Agreement will immediately terminate. Licensee must stop their use of Audio Clips and destroy all copies of Audio Clips. NeoSounds represents and warrants that it has full authority to grant all the rights contemplated by the terms set in this Agreement, and that it has obtained all necessary permissions from copyright owners or their legal representatives to grant such rights to the Licensee. In no event shall NeoSounds' total aggregate liability to Licensee, or to any third party claiming through Licensee, arising out of or in connection to Licensee's use of or inability to use Audio Clips (whether in contract, tort, or otherwise) exceed the monetary amount actually paid by Licensee to NeoSounds for use of Audio Clips. 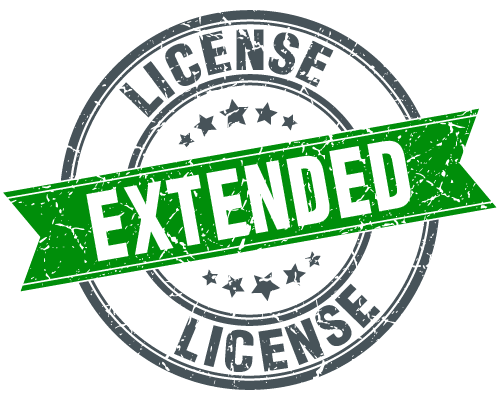 Licensee's sole remedy shall be a refund and Licensee agrees that this License is granted to them without any further warranty or recourse.